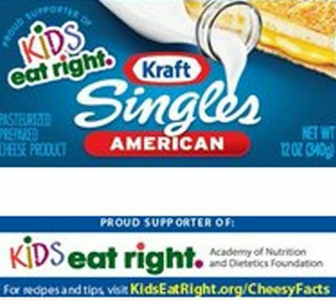 Earlier this month, Kraft Singles cheese slices became the first food—ever—to be officially endorsed by the Academy of Nutrition and Dietetics (AND). As members of the AND (and proud supporters, we might add), we, like most dietitians, did a double take. 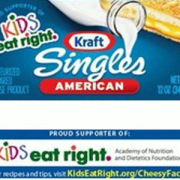 A food that is similar to cheese, but not quite cheesy enough to actually be called cheese, is the first food to proudly display the name of Kids Eat Right. Really? This week we learned that the AND and Kraft are in discussions to terminate the pilot program. We at Feed to Succeed are relieved to hear about the end to the label. We advocate a diet of real food: whole grains, lots of fruits and veggies, lean protein and yes, real cheese.